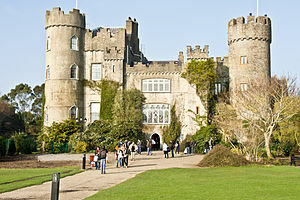 Avoca Handweavers is to begin trading this summer at a new visitor centre in the grounds of Malahide Castle in north county Dublin, according to a report in today’s Irish Times. Commercial agents Bannon, who advised Fingal County Council on its anchor tenant, would not comment on the financial terms agreed. However, it is understood that Avoca will be paying in excess of €215 per sq m (€20 per sq ft) for the new restaurant and retail building, which will extend to 1,750 sq m.
Fingal Council, owners of the castle, along with Fáilte Ireland are investing about €10 million on upgrading the tourist facilities. The visitor centre is located in the old courtyard buildings adjacent to an interpretive centre which will showcase the Talbot Botanical Gardens. Debt forgiveness: A NAMA for the people?